All our happy occasions are celebrated with lovely cakes. On this upcoming National Day, i.e., on 2nd December, present this beautiful assortment of cupcakes to the kids and adults. 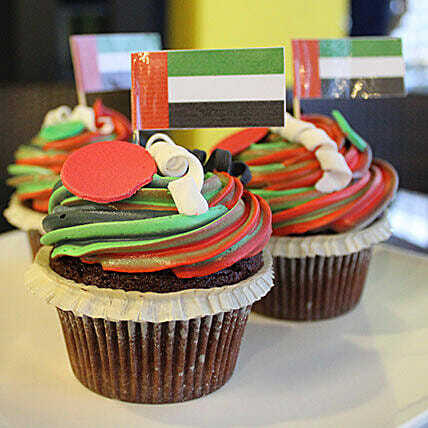 The frosting of the cake is done with UAE flag colored frost and cream.